Hotel Nemzeti Budapest has central location on the Pest side of Budapest at Blaha Lujza square. You can quickly reach the Danube River, shopping areas of Budapest, the Syma congress centre, Hungexpo exhibition field or the Budapest Arena sport and concert hall. 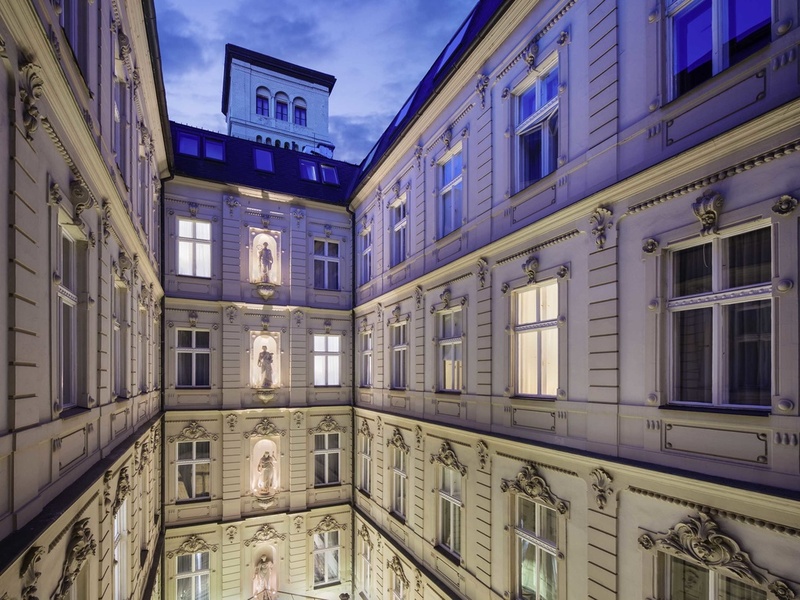 This Budapest Hotel is near to cultural attractions and landmarks such as the New York Cafe, Madach Musical Theater, National Museum as well to Music Academy of Budapest. Everything was perfect. Checkin was seamless. Very experienced and courteous staff. Room is very clean with all needed amenities. Breakfast was amazing. Hotel in central location with easy access to transportation and dining. Clean hotel nicely decorated. Rooms are very clean. The front desk and receptionists are charming and welcoming. The breakfast is delicious. The sauna is clean and relaxing after a busy stressful day. I’ve stayed in many hotel worldwide and in Budapest. Nemzeti Hotel is amongst my preferred ones! Had a very enjoy stay here. Lovely room with everything we needed. Hotel staff very pleasant and helpful. Hotel close to local transport. Very central. Very pleasant - our room was clean, comfortable and spacious. Bathroom too, but for the shower arrangement which was obviously designed for shorter people! Plus: you should consider providing more soap. Breakfast too was a pleasant experience regarding the food on offer and on display; ditto quality. However, service was a bit slow and the lack of an understanding of basic English (e.g. fried eggs, sunny-side up&quot; with bacon) or an alternative language (e.g. German) marginally frustrating and thus could be improved. The Restaurant was excellent: very good food, service and ambiance particularly with the hotel's history well on display in text and photographs (more such photographs could add to the 'magic')! Reception and waiting area also very pleasant. Lift worked flawlessly and the red-carpeted staircase was a show piece and pleasant to use. Decor perfect! The overall cleanliness of the hotel, internally and externally, was impressive. On arrival we were welcomed by friendly, courteous and helpful personnel (it would be unfair to only mention specific names!). This high level of service continued throughout our stay. BOTTOM LINE: If in future, we should visit Budapest again, your hotel would definitely be our choice of accommodation! THANK YOU for making our stay in Budapest a great experience. Very helpful and friendly staff. Always with a smile. The breakfast Room was awesome and so was the breakfast, though a few vegetarian items would have been good. The room and bathroom were very comfortable. Would definitely come again and also recommend it to my friends. The staff is very friendly and attentive, the breakfast is good and divers. The only issue that I had was, that the bed was really soft and I am not used to that. Next time I will stay in your hotel, I will indicate that I would need a firm bed, then it should be okay. The hotel is stunning, staff we’re courteous and eager to please. Mentioned before arrival we had special occasions to celebrate. Had 2 lovely messages, a birthday cupcake and bottle of Prosecco! And some lovely freebies to remind us of our visit. Breakfast was delicious. Only wish we could have stayed longer! Lovely quiet room, comfortable bed. Bathroom is a bit small but we coped. Breakfast very good. The hotel is very nicely designed, is excellent located and has very friendly and helpful staff.Unfortunately, even as a LeClub Gold Card Member, we did not receive an upgrade. We received a very quiet Courtyard room. The room was fashionable designed, but very small and narrow, even so is the bathroom. Luckily, the ceiling is quite high, otherwise we would have felt like in a Cage. The carpet, at least in our room needs an urgent shampooing, because it was quite dirty (pls. check with a wet towel). Breakfast was very good with a wide selection of choices and the Staff very friendly and helpful. As the Location is very good with excellent Access to public Transport, the hotel is still recommendable for short stays. Not the best area of the city but I enjoyed walking to everything and it felt safe. Staff were generally very pleasant but bar staff seemed busy and had to wait a while to be served. Good breakfast but would have liked more cut fruit. Nice room and kept very clean. Air-conditioning was not on and room was much too hot. Windows could open but noise from street made this impossible at night. Noise was OK with windows closed due to 4 layers of glazing. Generally a good stay. Fabulous hotel. Sophisticated design, wonderful breakfast, friendly staff. We felt very welcomed by the hotel ever since I made the booking/reservation. Before and during our stay, staff was kind, helpful and interested in our comfort. Even housekeeping was super nice. The bathroom was a little bit small but that was only one minor thing. Enjoyable stay. Staff very friendly. Rooms clean and well maintained. Centrally located approximately 15 minute walk to River Danube and main shopping area. Tram station right outside the hotel, but most places within walking distance. Continental type breakfast which wasn't really to my taste, but the a la carte options were fine. Guests need to be aware of City Tax which for the 4 days we stayed was approximately £50 for a couple on top of any accommodation charges. Loved the hotel, bedroom was fantastic with lovely bed and shower room. Breakfast was delicious but no one says about ordering when you arrive as naturally presume it's buffet only. Also one lift in whole hotel. Staff were very good and friendly.